Okay I must have blinked... where did March go? It seemed to be over quicker than February. This last month has been a bit of a basics month for me. I've loved my new 'bobbles' from Claire's Accessories. 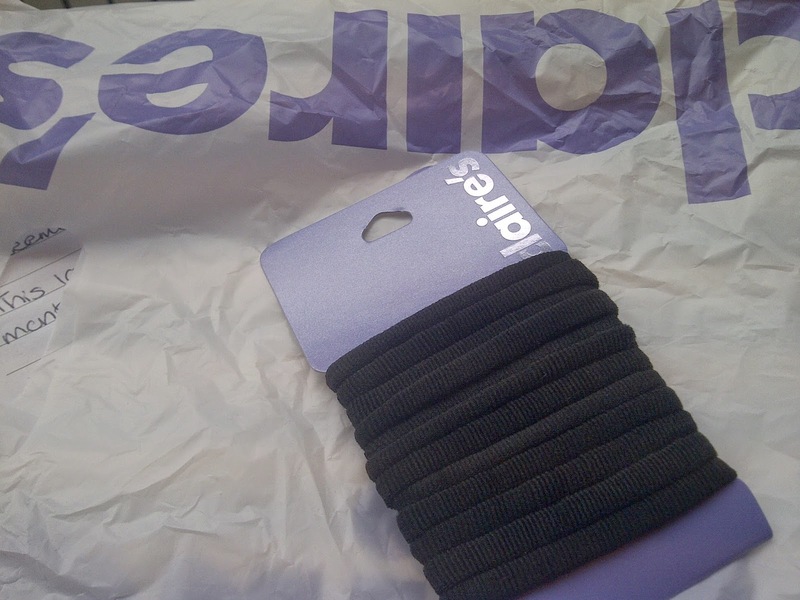 These ones are a simple black band made from a ribbed material (similar to cuffs on t-shirts). They are really comfy and don't pull on my hair. Perfect for a headache free day! My Boots No17 Volume Mascara has been used pretty much everyday this month. I add it on top of my lengthening mascara so it doesn't leach down my cheeks. 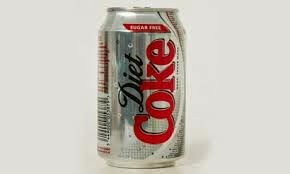 Diet Coke - this is a staple on my desk during early shifts. It reaches parts that coffee and water cannot. Jillian Michael's Podcast: I've been a fan of this podcast for a while. The trainer from the Biggest Loser is all about living your best life and offering the tools to get the best from yourself, in whatever you want to do, in this offering. The message is it's yours, if you want it go and get it. It really revs me up for a day in the big wide out there. I have a few of the free downloads on my ancient ipod in the car for a my commute to work. 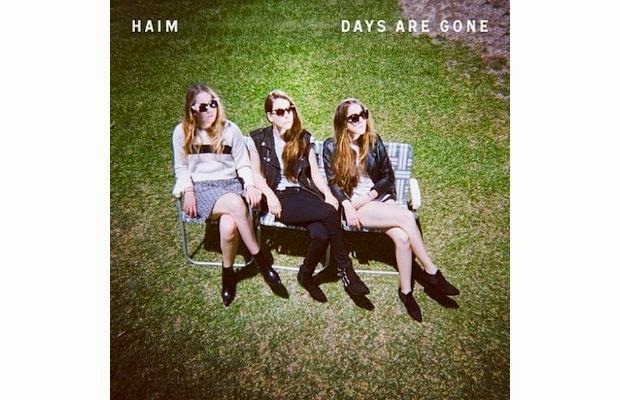 Haim's album Days are Gone: This has been on a lot too. I first was given this as I needed to write a piece on them for a preview in the Metro, I have continued to play it long after the blurb was published and the gig was played. They are a heady mix of Stevie Nicks and 90s pop. Perfect for a festival feeling summer. 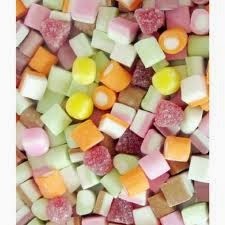 Dolly Mixtures: I keep these in my care for a quick energy jolt while driving. I used to work long and late shifts and got pulled over on a couple of occasions for suspected drink driving - I wasn't drunk, just really tired. These are a god send! Also learnt the lesson don't drive when tired. 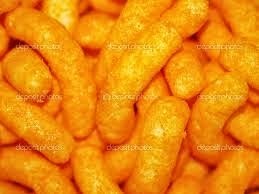 Cheese Puffs, Wotsits you probably get the idea there. This month my snack of the day are these day-glow/neon orange crispy-melty witchetty grub of cheesy junk foodness have been my go to snack. There is something rather satisfying in sucking them until the dissolve in a an almost chain-smoking frenzy.